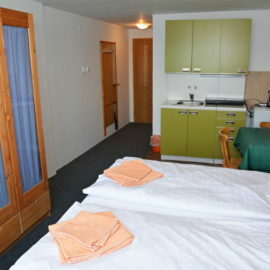 The room is equipped with a double bed, wardrobe, dining table. 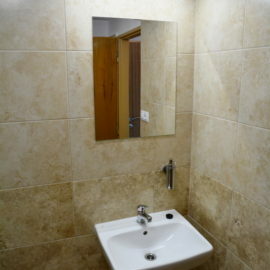 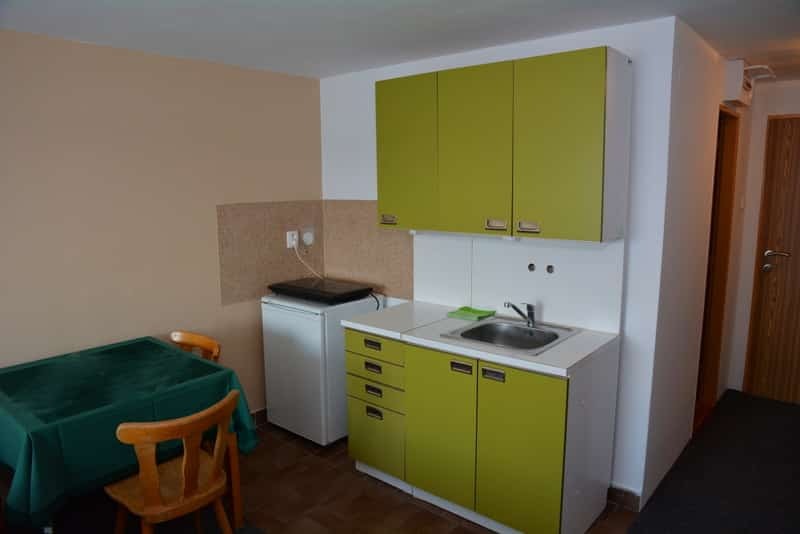 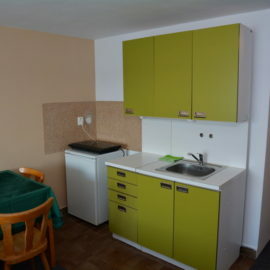 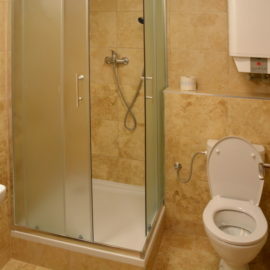 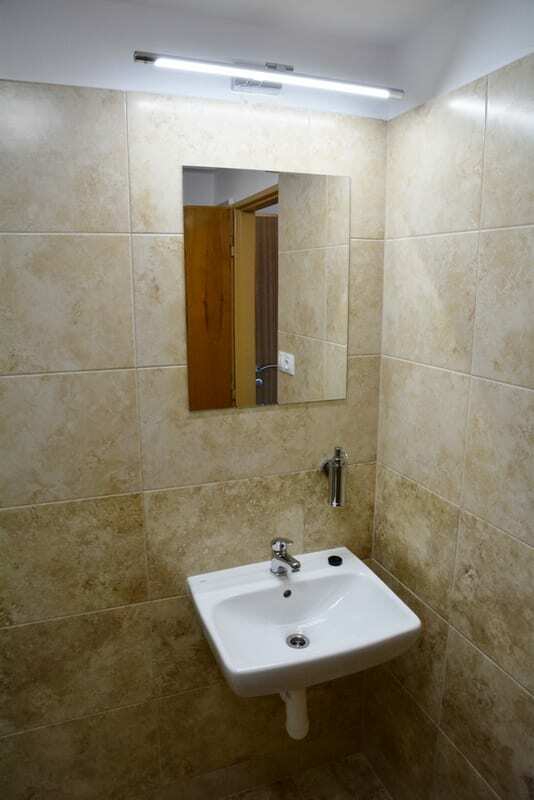 The PROMO studio has a kitchenette with a fridge, cooker, kettle and disis, further a private bathroom with a shower. 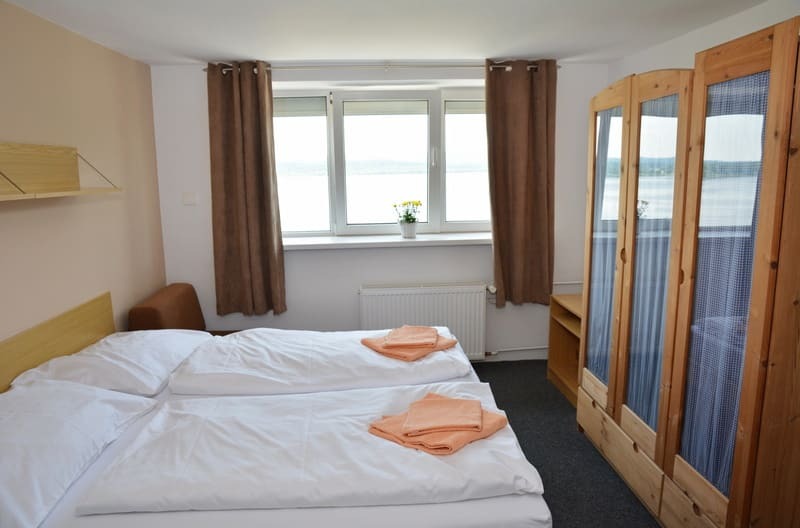 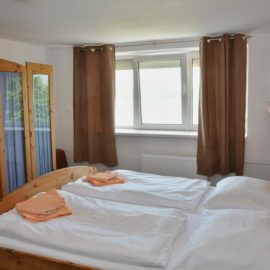 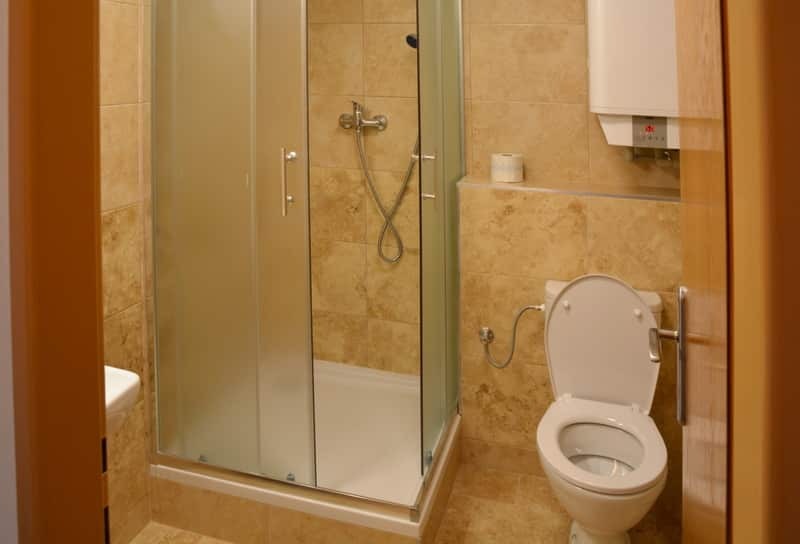 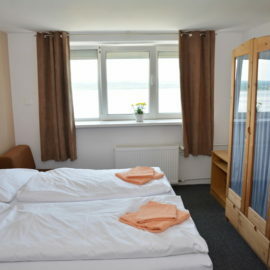 Due to the location on the 2nd floor, it has the most beautiful view of the Lipno dam. 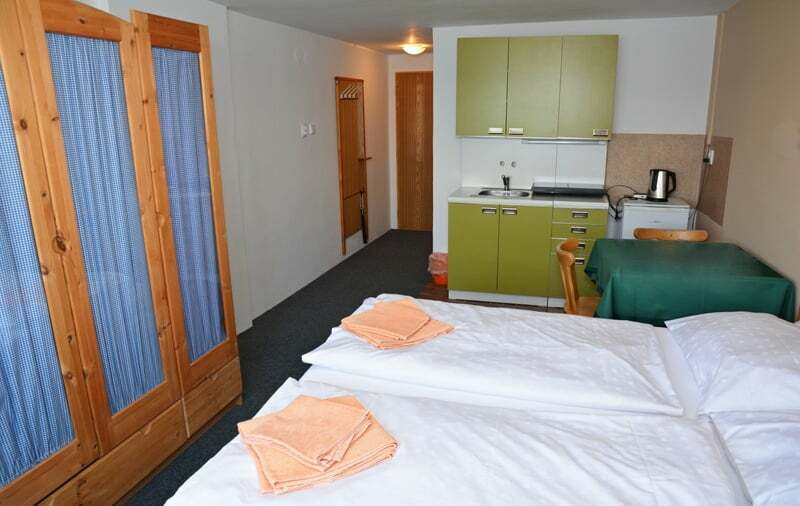 The room is carpeted and therefore not suitable for guests with pets.